Ajay Devgan made debut in Bollywood industry from Pyari Behna as Young Kalicharan. Because of his acting in that movie got movie Phool aur Kaante. After that he gave back to back hit movies and also become very popular as Angry Yong Man. At that time people love to watch Ajay as Police inspector or Angry Young man role but none knows that Ajay Devgn can do comedy movies too. But after watching him as comedian people expect more comedy movies from him and because of fans expectation he give as many comedy movies as he can. Ajay also done negative role in some movies and acting as negative role is stupendous. This shows actor is very talented and that's why he honoured by the Government of India with Padma Shri in year 2016. All fans of Ajay Devgn are welcomed by Upcoming Movies Club team and here we made his upcoming movies list along with release date. You guys also have rumored and confirmation awaited movies list. Ajay Devgan's next will have his wife Kajol as star cast. And movie to be directed by Anand Gandhi who is maker of The Ship of Thesus. In movie Kajol to play role of single mother. Check out all upcoming movies full details such as release date, director, other star casts, producers and many more. You guys can also have first look poster and trailer video of movies as and when it will available. Love to check out upcoming hindi movies 2017 then visit link and stay tuned for movies schedule. Baadshaho : In this movie Ajay Devan to romance with Aishwarya Rai Bachchan. First release date is all set and movie to clash with SRK's Raees but because of movie won't be ready within January 2017 it's lock horns with Karaj Johar's Badrinath Ki Dulhaniya. 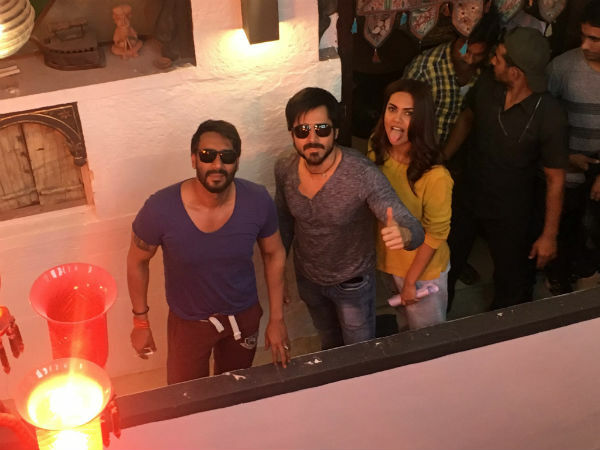 Golmaal 4 : Getting huge success with Golmaal it's now 4th sequel of movie in which Ajay Devgan to star and rock the floor. As per director Rohit Shetty movie shooting to start in mid 2016. And this news confirmed by Rohit Shetty himself. Tigmanshu Dhulia's Next : Tigmanshu Dhulia to make a movie on UN campaign which is on illegal immigration issue. Tigmanshu is in talk with Ajay Devgan and Hrithik Roshan to play lead role in movie. Ajay Devgan - Sooraj Pancholi's Next : Ajay Devagn to work in home production movie in which he going to work with Sooraj Pancholi. Movie will be directed by Remo D'Souza and movie will have dance actions. Akiv Ali's Next : Ajay Devgn's first look Romantic avatar from Akiv Ali's Next is available . After Golmaal series 4th installment Ajay all set to do rom-com movie. 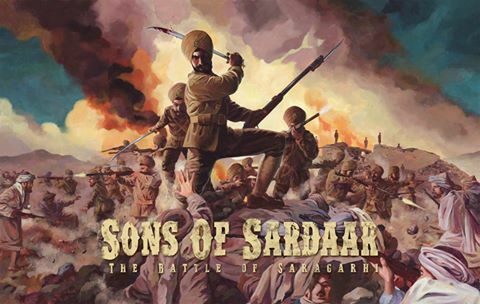 Son of Sardaar 2 : After getting lots of response in Ajay Devgan and Sonakshi starrer Son of Sardaar, producers announced sequel of movie. But sequel will not be comedy like original but it will be real life movie . Phlaj Nihalani's Next : In movie Ajay to working with Amitabh Bachchan. And as per the sources come to know that Ajay Devgan like script and working out his dates. Movie shooting to start from July - August 2017. SS Rajamouli's father Vijayendra Prasad is writing script and Mr. Bachchan had a joint narration for this movie. 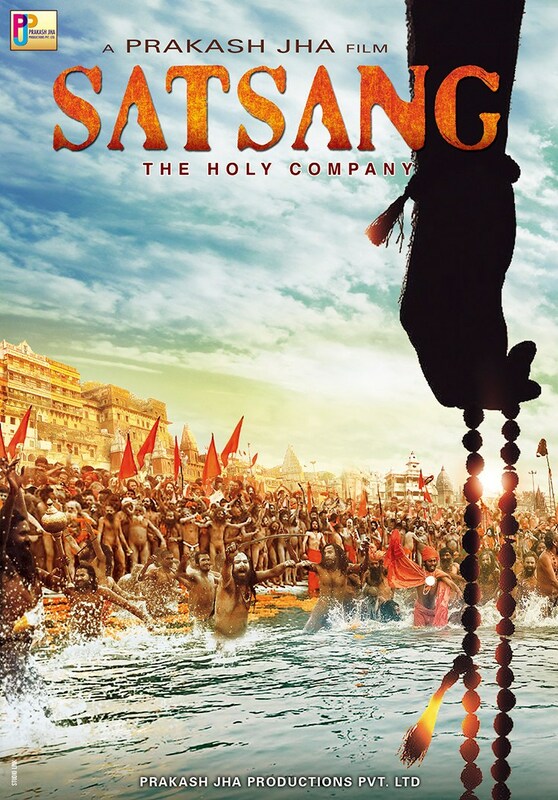 Satsang : Prakash Jha production to do movie on Allahabad's Kumbh Mela. This movie will be on Naga Sadhus. Movie is delayed just because Ajay Devgan has no dates and Prakash Jha want him in movie. As per the sources movie will release in 2017. 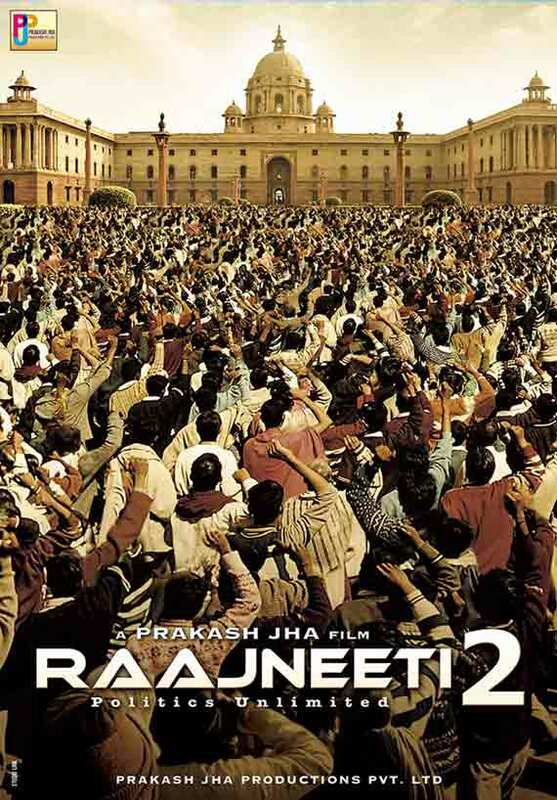 Rajneeti 2 : Prakash Jha production released posters of Satsang and Rajneeti 2 in 2014. Prakash Jha told media in 2013 that Rajneeti first part released in 2010 and 2013 is not right time to release sequel because our Indian Politics having lot of changes once it gets stable he going to release movie on it. So as per UMC this is right time to make movie and hope movie will release in 2017. 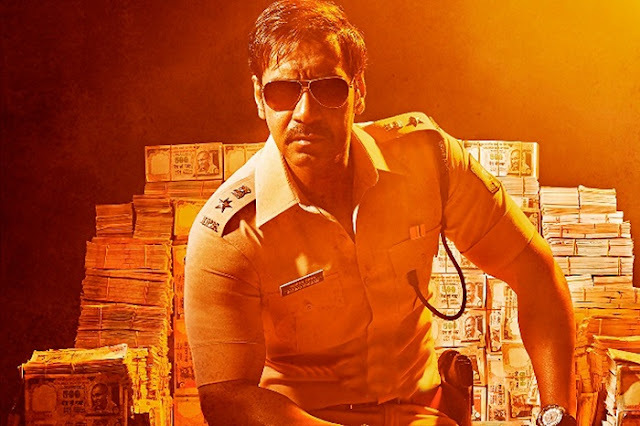 Kanchna Remake : After having huge success in remake like Son of Sardaar, Singham, Drishyam Ajay Devgan roped up in another remake which is horror comedy. In movie Ajay to play a role of transgender . Singham 3 : It's 3rd sequel of Tamil Super star Suriya's Singham. In Singham and Singham Returns Ajay Devgan wins hearts of fans and all are waiting for it's 3rd sequel. 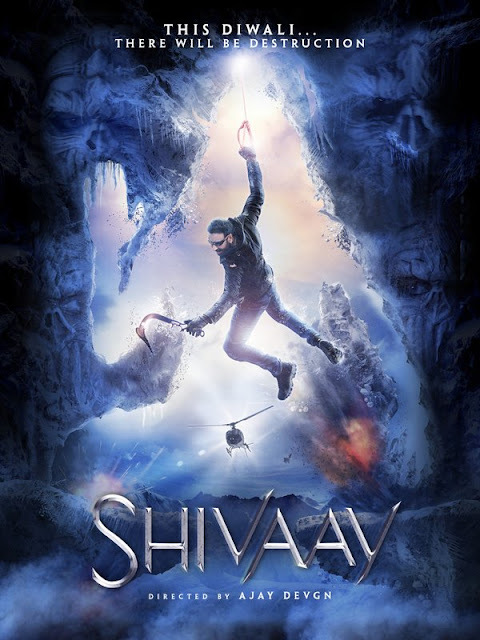 Shivaay : This movie is Ajay Devgan home production which is Ajay Devgn FFilms movie. Along with producer of movie he also directed movie. For this movie poster Ajay Devgan had done death scene so you guys can imagine how the whole movie will be ! This movie to clash with Karaj Johar's Ae Dil Hai Mushkil.